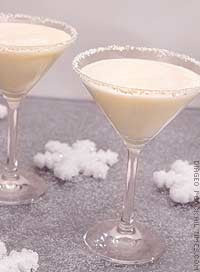 Rim martini glass with cinnamon and sugar crystals (or white chocolate flakes) and set aside. Pour all ingredients into a shaker with ice and shake. Strain into the martini glass. And before you ask- yes, there IS a Partridge in a Pear Tree. Happy New Year! 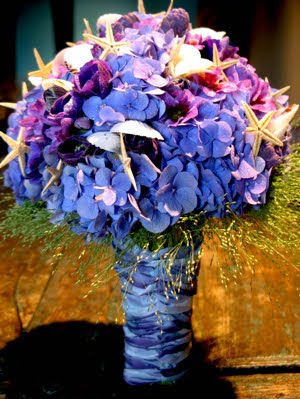 Floral designer Minoo Hersini created this bouquet using blue hydrangea, leucocoryne, marianne blue anemone, sea shells, starfish, panicum fountain grass and french ribbon. 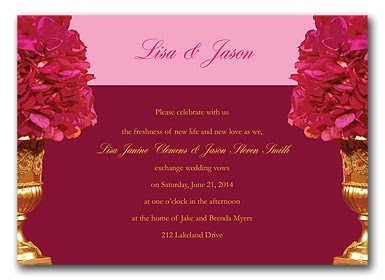 Perfect for a beach or destination wedding. This year, I have been blessed with lots of firsts. 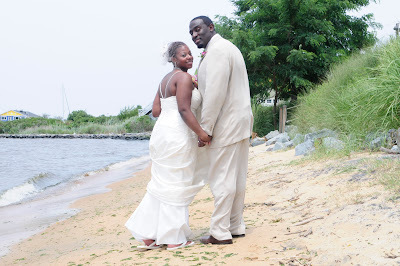 This was my very first beach wedding – and it was fabulous! 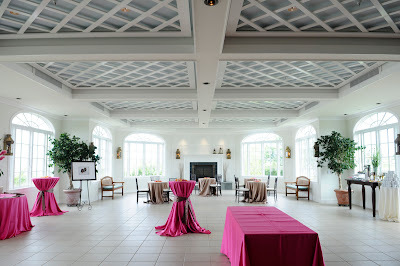 What a beautiful site on the Eastern Shore - light filled, airy, spacious and beautiful – the most perfect setting for a most perfect wedding! 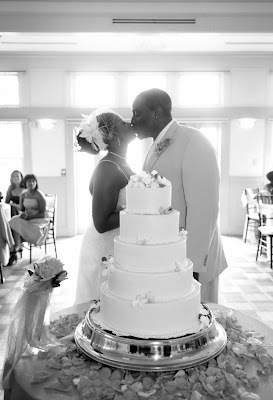 This sophisticated bride wore the most perfect gown for a beach wedding – it was a nice, light and simple - ivory in color. 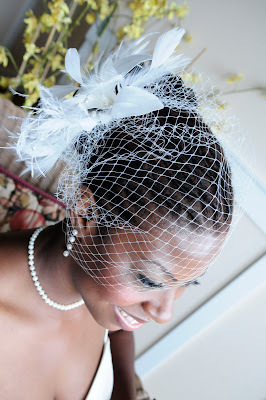 She finished off her look with a simple yet sophisticated cage veil. Celebrating her Caribbean heritage she walked down the aisle to the sound of steel drums. 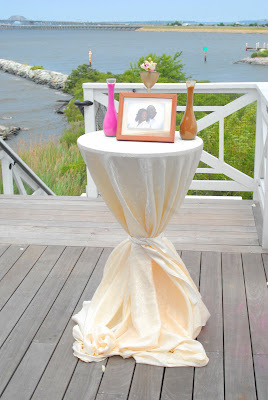 She looked absolutely stunning as she exchanged vows overlooking the Chesapeake Bay. 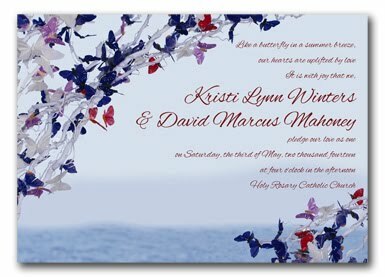 The ceremony was short but meaningful - the highlight being the Sand ceremony – which not only represented two souls being joined as one, but the coming together of two families. 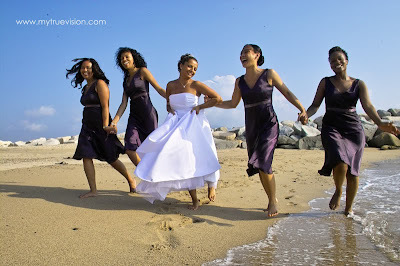 While the newly married couple took pictures on the beach, their guests enjoyed passed hors d’oeuvres, and the sounds of steel drums, as they watched the sun reflect from the water’s edge. 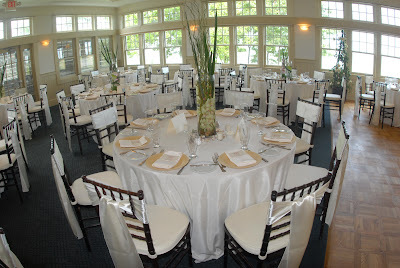 As their 150 guests moved from the cocktail hour which was draped in pink, to the light filled reception which was draped in crisp ivory, they were treated to a robust meal and live music. 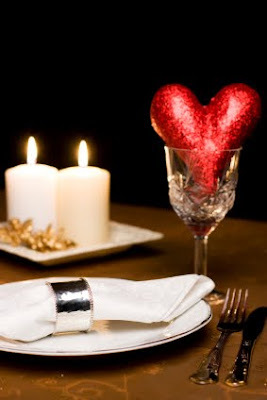 The festive evening moved quickly (as it always does) and before we knew it, it was time to say goodbye. As they did at each moment of their wedding day, the couple said their goodbyes in grand style – waving from a yacht which brought them to their wedding night hotel. 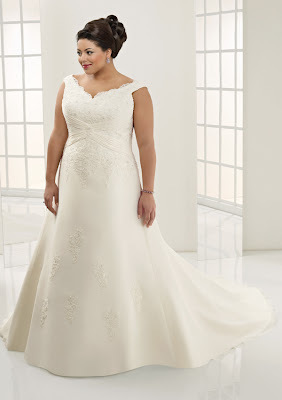 This gown is made of delicate chiffon with lace and comes in ivory or white. 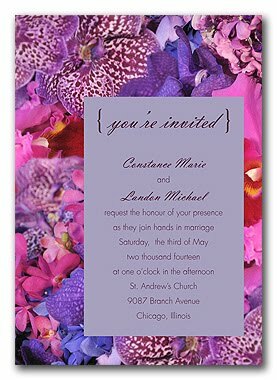 One of the country's premier event designers is now a top-notch invitation designer as well. 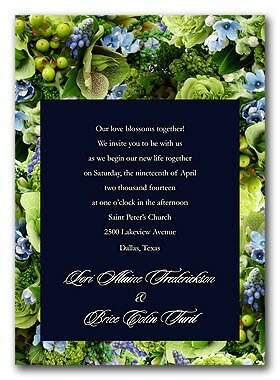 Preston Bailey recently launched his first invitation collection exclusively at InvitationConsultants.com. . Much like his wedding decor, the invitations are bursting with flowers, joy and color. 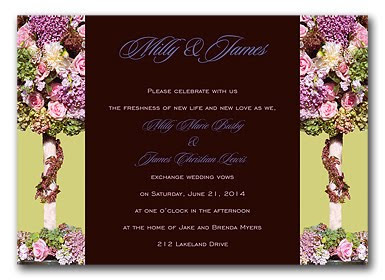 The invitations range between $2 and $4 each. 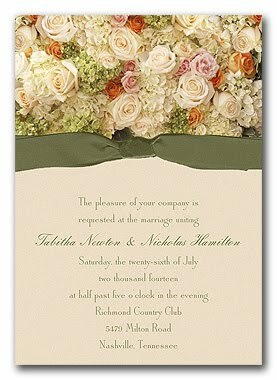 Get more information by visiting InvitationConsultants.com. . So what do you think, so far? Tell us now by clicking on "comments".